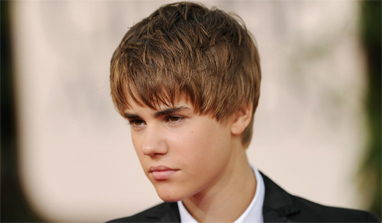 Teen pop sensation Justin Bieber wants media to stop drawing attention to the woman who has accused him of fathering her child. California woman Mariah Yeater, 20, hit the headlines earlier this month after sensationally claiming the teenager had impregnated her during a backstage romp at one of his concerts in Los Angeles last year, Daily star reported. Bieber, 17, who is dating Selena Gomez, voluntarily took a DNA test on November 18 in a bid to put an end to the scandal and he wants the media to stop giving Yeater the spotlight. "I didn`t have to do it (DNA test), I did it because I wanted to, I just wanted everything to be out in the open and be like, `Listen, there`s no reason for this to even be a discussion`. It shouldn`t even be a discussion. If I have to take it, if I don`t have to take it, I`m gonna take it just because, it just made sense. "I don`t even know if she`s gonna take it or not, I don`t even know... I`m not even paying attention (to the rumours). I think we`re bring too much attention to this girl who just wanted, you know, (fame)," he said. 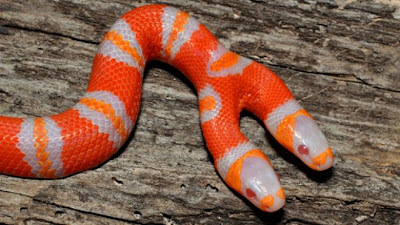 A University of Central Florida biologist reported that a rare, two-headed albino milk snake was recently born. Daniel Parker told Orlando television station WKMG-TV the snake hatched last week in an incubation container. Parker says most two-headed snakes have typical coloration. Albino snakes don't have dark pigmentation in their skin. Albino milk snakes appear in bright shades of red, orange and white. The biologist says two-headed snakes have been documented to live as long as 20 years in captivity. But with two brains giving commands to a single body, Parker says the snake would have a difficult time surviving in the wild.